Get immersed in your park like never before! 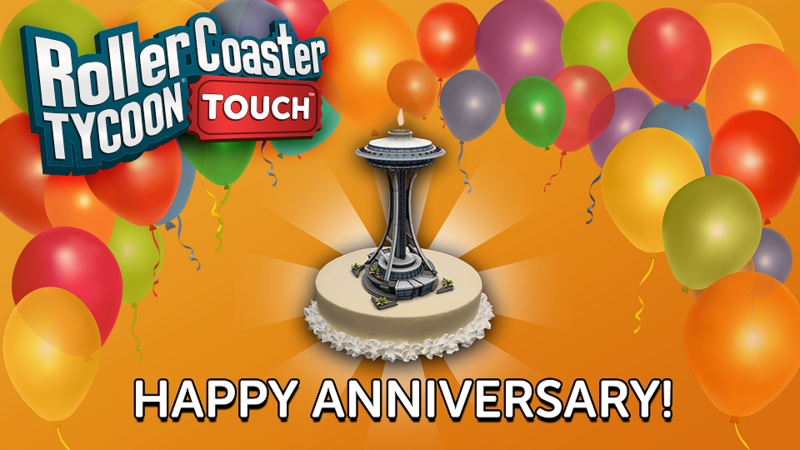 Atari® is thrilled to announce a trove of new features for their most popular mobile title, RollerCoaster Tycoon® Touch™, arriving in time to celebrate the game’s one-year anniversary on the app store! 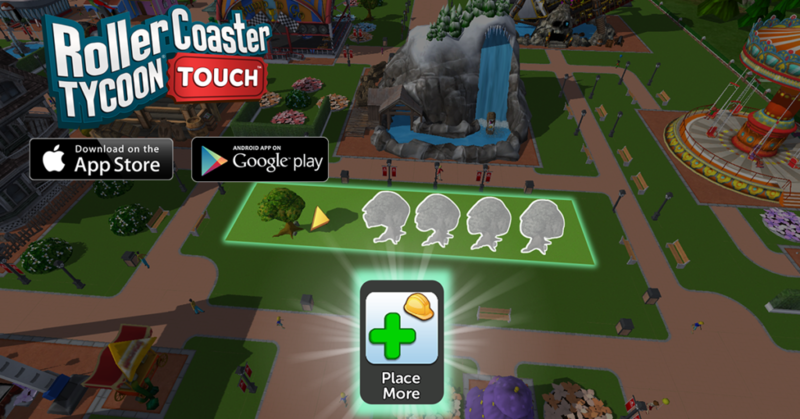 Based on RollerCoaster Tycoon®, one of the best-selling franchises in PC gaming history, RollerCoaster Tycoon Touch is a free-to-play, innovative 3D simulation game where players can create, build, manage and share their own imaginative park creations. Released in early 2017 on iOS and Android devices, RollerCoaster Tycoon Touch has racked up over 13 million players, rapidly soaring to the top of the charts. Already a fantastic fan-favorite game at launch, Atari and Nvizzio Creations continue to add numerous new features and content to make RollerCoaster Tycoon Touch even better! The new content update includes the brand-new Helipad landmark, allowing players to collect the specific cards they want. Other features unveiled this week include an easily accessible copy button so players can quickly design their park with just a few taps, an Item Locator to find misplaced attractions, updated weekly coaster challenges that increase in difficulty to match your park’s status and player level, and a refresh to the game’s mission system. Tons of new attractions and scenery introduced in each update: Seasonal items, new coaster cards, composite decorations and much more! Park Edit Mode – Jump into the park editor to quickly move and rearrange your park. Or wipe your park clean and rebuild it for free! New Landmarks – The Casino, Mall, Trading Fair, and Peep Train offer great new ways to get the cards you want or win fabulous prizes. Coaster Blueprints – Find and place beautiful pre-made coasters to quickly enhance your park, or save your favorite coaster designs. Friend Park Visits – Visit your friends’ parks and see how you stack up! Get rewards for each visit you make. RCT Touch VIP Program! Subscribe to the VIP program and maximize your progress: Receive free VIP card packs, more XP per mission, and many more great perks. Exclusive Barbie® themed content including 12 sparkling Barbie cards to add magical rides, shops and other decorations! With over 119.5 million missions completed since September and over 40,000 roller coasters designed every day, it’s clear that fans can’t get enough! 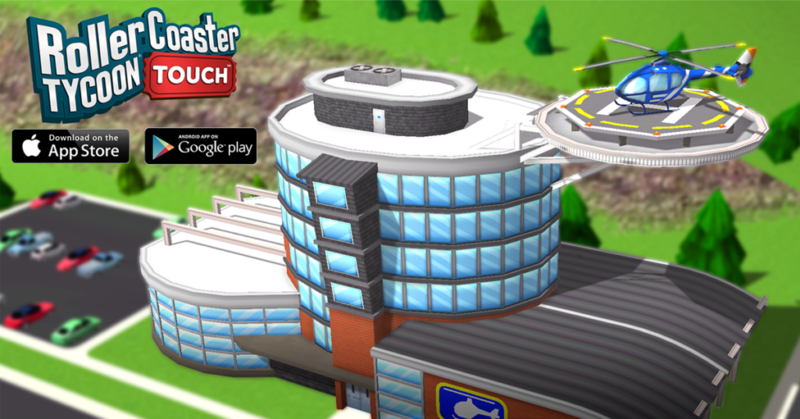 With all of this new content, there’s never been a better time to dive into the fun that is RollerCoaster Tycoon Touch! If you haven’t been back to check the game out in a while, please take another look. For more information about RollerCoaster Tycoon Touch, please visit: www.rollercoastertycoon.com/rollercoaster-tycoon-touch. The Division 2 Just Announced!